In Black Mirror Season 4, episode "Hang the DJ", it portrays a futuristic dating app in which an AI called "Coach" only gives daters a set amount of time – 12 hours or even 12 years – to date a potential partner before they must move on to their next match. Now, of course, somebody has actually built an app inspired by the somewhat dystopian system. First spotted by Forbes, it's called Juliet and is available for free in the App Store. Earlier this year, a 24-year-old programmer named Julian Alexander hosted a Reddit AMA in which he debuted Juliet. The concept is that users of the app will only be paired with one prospective partner at a time, for a set amount of time. There are no profiles, and no swiping, just basic info like sexual orientation and location. 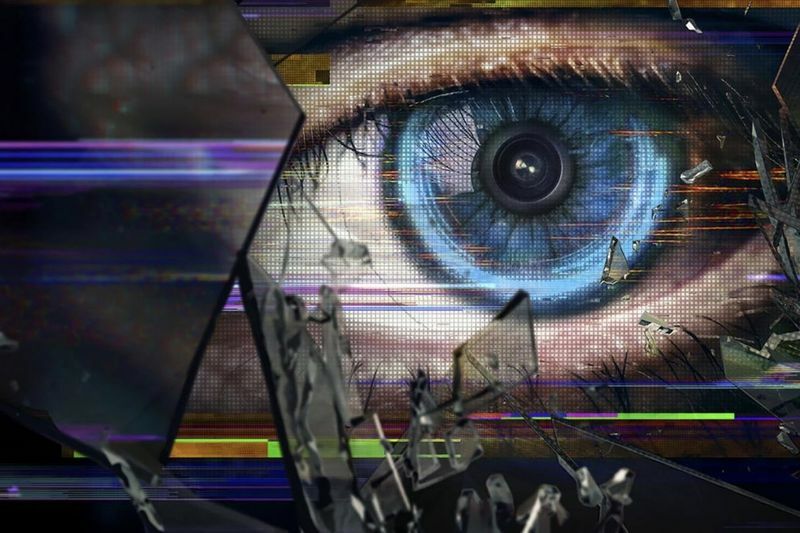 Reddit users were quick to notice the similarity between Juliet and the Black Mirror premise. The top comment on the AMA, with 5.8K upvotes, directly asks whether Alexander got the idea from "Hang the DJ." To which Alexander replied that he is a huge fan. Alexander then confirmed that the Black Mirror episode did indeed inspire the app's creation. 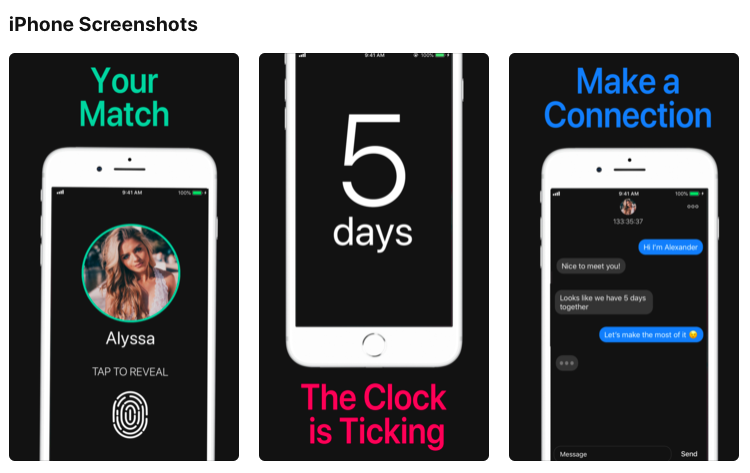 Juliet is in no way linked to Black Mirror, officially – Netflix actually rolled out a spoof of the Coach app on Valentines Day last year. But likely to the apps closeness to the episode's concept, the AMA climbed to the top of the AMA subreddit and become #14 on the Reddit front page. It currently has 7.8K upvotes. "The similarity between Juliet and Black Mirror definitely helped spark interest in my Reddit AMA," Alexander said. "I was really surprised how many people loved the show and the concept of Juliet." Alexander says people have been eager to try out its closest real-world equivalent, saying he has acquired "thousands" of users over the past week. However, "thousands," to be frank, is not a ton of users for a dating app. The number of users is especially important for a burgeoning dating app since how well they work is extremely dependent on how many potential people it can match you with. That is certainly true for Juliet, but perhaps to a somewhat lesser extent, since the whole concept is that it only matches you with one person at a time. "A lot of other apps focus on a quantity approach," Alexander said. "I really wanted to go with a quality approach, matching the user one person at a time." Juliet's not-quite-astronomical rise has not been entirely smooth sailing. Some app reviewers complain that they do not like the people they were matched with; that, of course, will happen, when you're matched with someone based on nothing (at least at first). It also did not initially take location into account when making a match, so users complained that they were getting matched with people whom they would never encounter in real life. That oversight prompted negative reviews in the app store. Alexander has since rolled out a location feature and said he's getting positive feedback. "People are finding matches close by," Alexander said. "Juliet's going to keep on improving. She's getting smarter." Of course, Juliet's success depends on that whole "getting smarter" thing. For an AI-dependent app, the AI has to actually ... work. 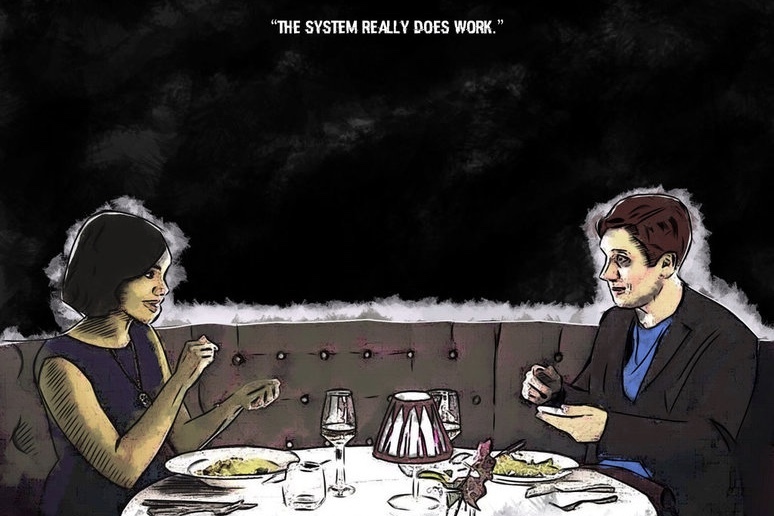 Devising the perfect formula for a good date – let alone love – is something corporations and scientists are eternally struggling to get right if it's possible to do at all. Ultimately, Alexander hopes the happy ending in "Hang the DJ" will prevail over Black Mirror's underlying scepticism about technology's role in our lives. "I hope for them to find love," Alexander said of his users. "Isn't that what everyone's looking for?" And, for people who still find the time limits weird and are wary of using an app from a Black Mirror-loving developer? Alexander advises just one thing: "Trust in Juliet." Video: Doctor Who Proves That Time Travel Is Possible!